When your children first start bringing artwork home it’s incredibly exciting. You are happy and proud to display it. Then, after a few years, the fridge is covered with their creations and you’re starting to run out of space. You feel guilty for considering throwing it away, but there’s nowhere to put it. Here are some creative solutions to your problem. A gallery of work can look cool, especially if there is a theme. If your child likes to draw animals or faces, frame all these pictures and display them as a gallery on one wall. You could make sure all the frames are the same style and shape or be a bit more random and quirky. Let your child help you decide. 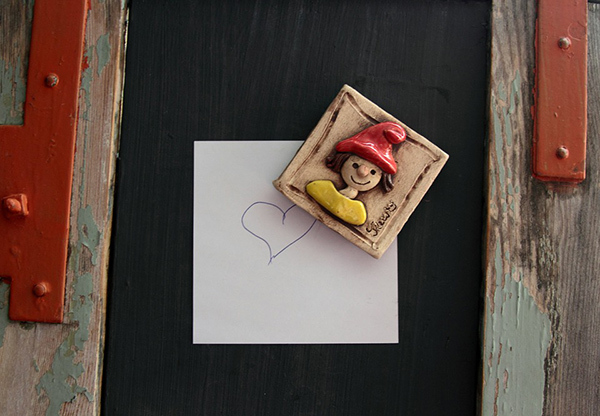 To make them feel extra special, ask them to draw specific things to fill some gaps and complete the gallery. Buy a large canvas and some paints and let your child create a large feature piece to display on the main wall. Let them have fun using different colors and tools. 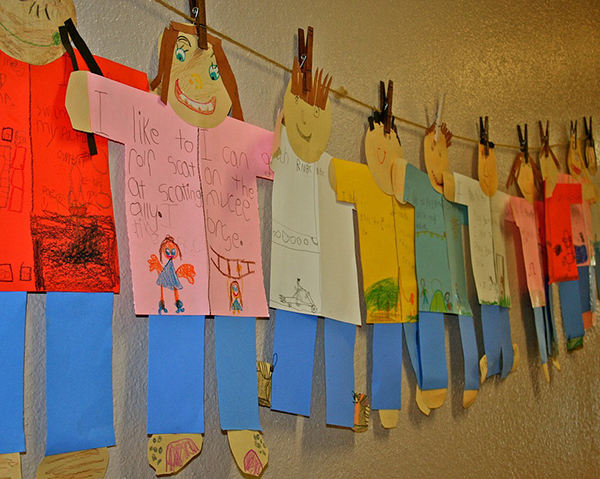 Display your child’s work while inspiring them to do more by making a collage on a wall featuring their artwork. Include their paintings as well as photographs and art prints. Explain to them who the artist is and what else they did. You could even visit a gallery together. Hanging pictures on the fridge is the traditional way to display our children’s art, but it can look messy and cluttered. If you’ve got a large fridge, consider buying magnetic frames to house the pictures to keep it neat, tidy, and stylish. Frames make everything look more stylish and professional. Even childhood scribbles. There are many different options when it comes to frames. You could make your own, restore some antiques, use quirky modern options, or even paint frames on the wall around the painting. If you want to display all the work but don’t have much space, miniature prints are a fantastic idea. Take photos of your child’s pictures and have them printed out in business card size. Then lay them out on a large card mount, stick them down and frame the whole piece. Frames and walls aren’t the only ways to hang pictures. You could hang them on a metal rod, a clothes line, on clipboards, or stacked on floating shelves. Use extra special pieces to create unique and personal homeware. Pictures can be printed on tea towels, cushions mugs, and on other homewares. These also make fantastic gifts for family and friends. Consider a folder for the pieces you don’t want to hang then let your children help you chose which ones to hang and where they want them. 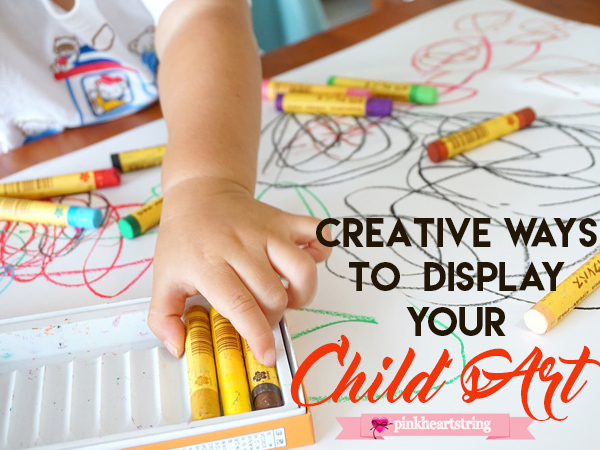 Hanging children’s art is a wonderful way to make them feel special and loved while encouraging their creativity, boosting their confidence and letting their imaginations grow. A small gesture to you can be incredibly meaningful to them.